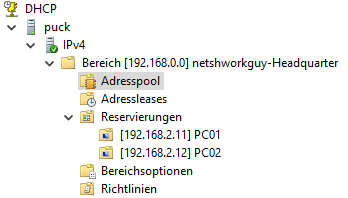 Delete your current DHCP scope and open the txt file with notepad, press Control+H and replace “Dhcp Server” with “netsh dhcp server”. Search for your current subnetmask 255.255.255.0 and change it to 255.255.252.0. Your subnet also needs to be replaced in the txt file, so press Control+H again to replace “192.168.2.0” to “192.168.0.0”.